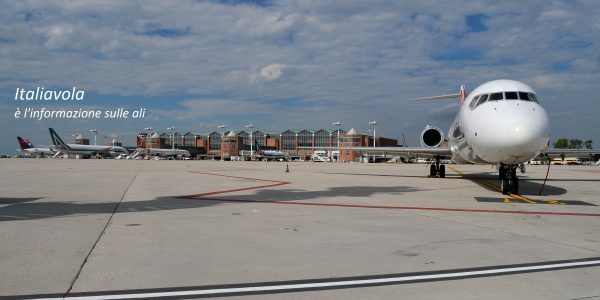 La nota in inglese dell’aeroporto di Philadelphia è per sottolineare che nell’estate 2018 sono partiti due nuovi collegamenti a lungo raggio attraverso l’Oceano Atlantico verso Praga e Budapest. 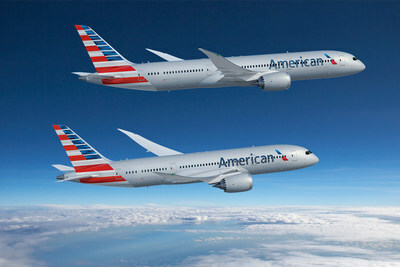 Due nuovi tasselli per il network American Airlines, ma anche per l’aeroporto della Pennsylvania. Non oltre il fatto per la funzione crescente di hub sulla costa est che ha questo aeroporto da tempo, prima con US Airways e poi dopo con American Airlines. I due voli sono entrambi giornalieri e quindi hanno il benefit di avere sia in entratta dall’Europa, ma anche dall’interno degli USA una possibilità estesa di connessioni. Philadelphia è anche una città di notevoli ricchezze culturali ed economiche. The PHL‐BUD (AA#96) fight departs PHL on a Boeing 767-300 at 6:15 p.m. and arrives 9:35 a.m. (next day) The BUD‐PHL flight (AA#97) departs BUD at 11:35 a.m. and arrives at PHL at 4:05 p.m. The PHL‐PRG (AA# 52) flight departs PHL on a Boeing767-300 at 6:25 p.m. and arrives PRG at 9:20 a.m. (next day). The PRG‐PHL (AA#53) flight departs PRG at 11:30 a.m. and arrives at PHL at 3:15 p.m.
PHILADELPHIA — The inaugural flights to Prague and Budapest serviced by American Airlines departed PHL after a celebration on Friday, May 4. International destinations and passenger numberscontinue to increase at PHL with services provided by American Airlines. The ambassadors to the United States from the Czech Republic and Hungary as well as officials from the New York Consulates of their respective countries attended the gate event with Philadelphia Mayor JimKenney and American Airlines executives. Passengers and guests enjoyed cuisine inspired by traditional food served in the respective countries. Budapest and Prague share with Philadelphia the distinction of being recognized as World Heritage cities because they each boast at least one UNESCO World Heritage Site. With the two new daily flights to Prague and Budapest, PHL offers service to 36 international destinations, including 16 capital cities. “American Airlines’ new direct service between Philadelphia and Budapest will open up a new era in Hungarian-American relations,” said Dr. Laszlo Szabó, Ambassador of Hungary. “This new infrastructure willallow Hungarian and American businessmen to trade and invest more efficiently, and help tourists experience the best of both countries with speed and comfort. at PHL at 3:15 p.m.